We live in an alphabet soup. I just sent my taxes to the IRS. I watch NCAA basketball. And I belong to a Story Circle Network group called WIP. WIP is familiar to writers as it stands for Work In Progress, something every writer has at all times. Sometimes the WIP is in the thinking/pondering place, sometimes in the rush of a first draft, maybe it’s in revision, and maybe it’s a piece set aside and now ready to be pulled back for the final birthing. Through my WIP group I have added two new soup ingredients: OR and OBA. OR stands for Outrageous Request and will be the topic of next week’s blog. 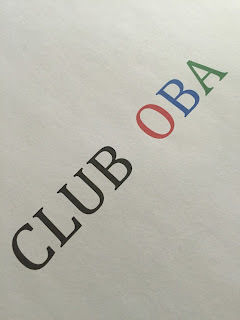 Today I want to talk about OBA, Officially Behind in All and why I am relishing my membership in this club. At first thought, being behind in everything might seem a negative and overwhelming place. But, consider this. Last year, during NaNoWriMo (National Novel Writing Month) I wrote 50,000 words of essays. The goal during NaNo is to not revise, to just keep plugging away on first drafts. 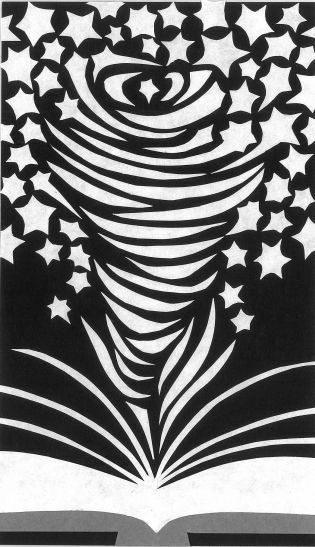 One of my desires is to one day have a book of essays published and I wanted to feed that dream. So I opened a new folder, Essays In Progress (EIP), and created a file for each essay I began during NaNo. Sometimes the file contained only a series of sentences outlining a possibility. Sometimes it contained a pretty good first paragraph and then some jumbled thoughts on where to go next. Sometimes it was a complete first draft. I tried to give each folder a name that would draw me back to that writing. What I did not do was revise in any way. I ended up with 29 files. Some of them were not essay starts but outlines for future novels in the series I am writing. I have learned to set a goal, like “write essay starts,” but not be so rigid as to ignore an idea for a novel just because I was aiming for essays. The muse takes you where she will, honor the muse! Here’s the blessing. I now never have a time when I don’t have anything to write about. I have a folder full of files just waiting for my attention. And I keep adding new files, currently totaling more than 40. Some of the NaNo files have been moved. They are completed works and are either published or in the submission cycle. On Mondays in the WIP group we share what is on our writing desks for the week. Most of us are juggling multiple projects. 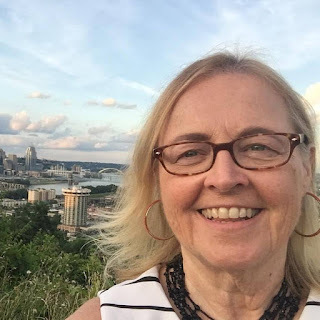 We end the week with Friday Brags, sharing what we may have accomplished on those lists and any other good news in our writing lives. One day a few weeks ago, one member posted she was OBA and explained the meaning. It resonated so deeply with all of us that we decided it is a club and we are all founding members. We can laugh about being behind, give support to those feeling overwhelmed, and rejoice in the wealth of possibilities we have before us. So, how about you? 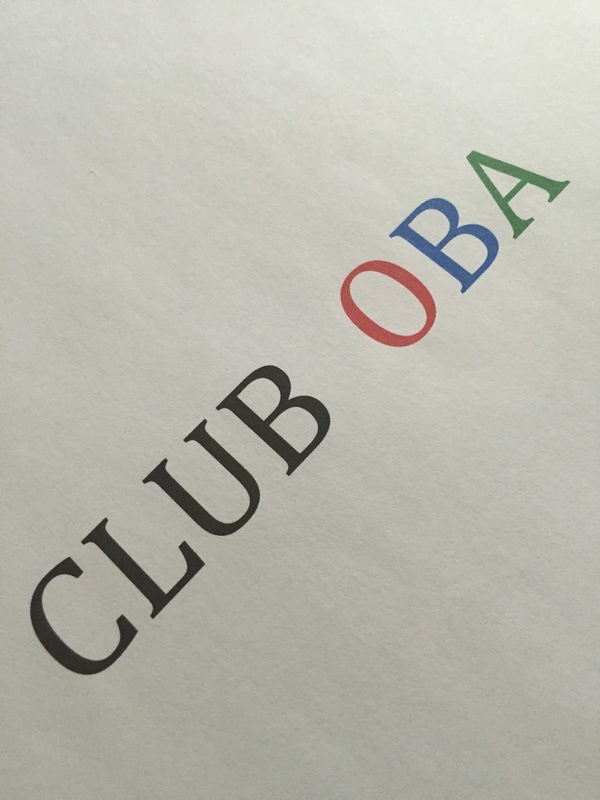 Do you qualify for membership in Club OBA? Can you recognize that as a blessing? I hold it that way and am grateful, both for the writing opportunities and for the camaraderie of my fellow members.